You’ve just been confirmed as an Associate Justice of the Supreme Court of the United States! What are you going to do now? Well, if you’re Sonia Sotomayor you go to Macari Vineyards and buy a celebratory case of their outstanding Cabernet Franc, a very good first decision. The Macari winery was established in 1995, although the family has owned the land for almost 50 years. It is on a 500 acre estate of prime waterfront property with about 180 acres planted with vines and other fields dedicated to compost, farmland and animals. They are also one of the leaders in the use of organic and biodynamic methods on the North Fork. They use fish, kelp and seaweed as fertilizers to increase the diversity in the soil and use very low levels of sprays. The intent is to have a safe environment for their kids and to make premium wines. The property is well set up for tourism and has a large and very attractive tasting room that also sells gifts. 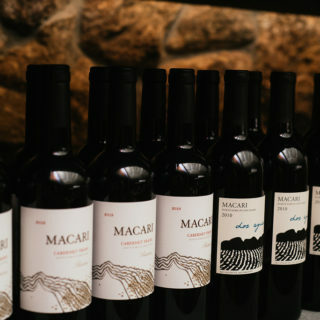 Macari has been a success from the start when they sold out their first vintages. They are particularly known for their Sauvignon Blanc which has scored as high as a 97 from the New York Times and recently won a silver medal at the 2009 International Wine and Spirits Competition in London. (Their Block E Chardonnay dessert wine won a gold.) They pick the grapes for the Sauvignon Blanc early because they love acid. A taste of the Macari Vineyards 2008 Sauvignon Blanc ($23) quickly confirms what they’re talking about. A complex mixture of tropical fruits, grass and minerals hit you immediately. It is a very crisp and satisfying wine that I thought was outstanding. The 2007 Chardonnay Estate ($19) is fermented in stainless steel and is very reminiscent of a Chablis. It should be a very good food wine. The 2007 Chardonnay Reserve ($23) is aged in French oak for 12 months and is completely different. This is lush with flavors of vanilla, honey, butter and toast. It’s known around the winery as “Hillary’s Wine” because she served it several times at the White House. The 2008 Rosé ($15) is a blend of Cabernet Franc, Merlot, Cabernet Sauvignon, Pinot Noir and Malbec, the first year they have used that many varietals in the blend. Think strawberries. I thought it was wonderful but it was just about sold out. Sette ($17) is a blend of half Merlot and half Cabernet Franc which I found very interesting and a great buy for the price. The food recommendation was Indian cuisine. 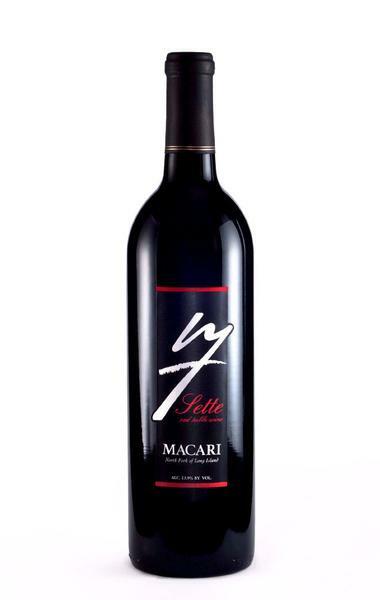 The 2004 Macari Vineyards Cabernet Franc ($27), which will doubtless be known as “Sonia’s Wine”, was a big, vibrant red but still smooth, lovely and with little of the green pepper taste that I usually associate with this wine. The North Fork Cabernet Francs are quite distinctive and this was a memorable one. 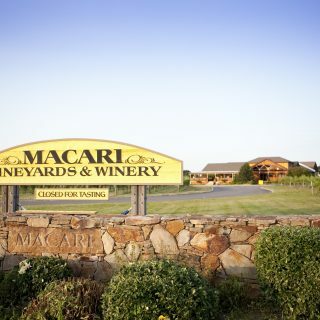 Did you visit Macari Vineyards, or have you ever tried one of their wines? Share your comments and insights with the community!